Hyperlipidemia refers to a condition where too much of certain fats build up in the blood. This most often happens in the form of cholesterol. While cholesterol is a needed component in our bodies, the balance of LDL and HDL cholesterol can fail. Too much blood cholesterol forms plaque in arterial walls and constricts blood vessels, leading to a variety of cardiac issues. 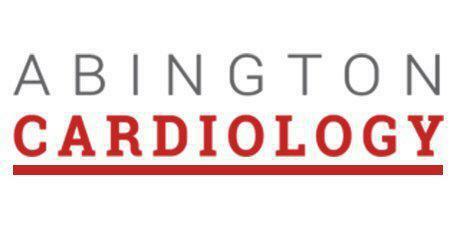 Dr. Meshkov and the team at Abington Cardiology in Jenkintown, Pennsylvania, successfully treat patients with hyperlipidemia regularly. Call today to start taking charge of your cholesterol. Are hyperlipidemia and high cholesterol the same thing? No, they are not exactly the same thing. Hyperlipidemia is a blanket term that covers a variety of substances called lipids, including cholesterol, triglycerides and other fats, that circulate in the blood. LDL Cholesterol is usually the lipid that’s problematic. When any of these substances enter arterial walls, atherosclerosis may result, leading to heart attack or stroke. Hyperlipidemia may be a genetic condition or it may be caused by diet. Is treatment the same for each lipid? No, it’s not, and it’s an important reason to see Dr. Meshkov for an appropriate treatment plan. For example, a daily glass of wine or other alcoholic drink may prove beneficial when cholesterol is the fat behind hyperlipidemia. That glass of wine becomes dangerous if hyperlipidemia stems from triglycerides. The team at Abington Cardiology knows the particulars of each problem, how to treat it and what interactions to avoid. Elevated lipids don’t, on their own, usually display symptoms. It’s only when conditions arising from hyperlipidemia develop that symptoms show. What are the general treatment options? Oral medications called statins, taken daily, are usually effective for reducing LDL cholesterol levels. These do have some side effects such as inducing diabetes or causing cognitive dysfunction. There are, however, a range of approved statins, so different choices may prove effective without negative issues. Regardless of which medication works best, lifestyle changes including diet and exercise reduce the effects of hyperlipidemia. A heart-friendly diet that’s low in fats and cholesterol, low in salt and high in fiber helps manage the condition, as does losing weight and increasing physical activity. If you’re suffering from hyperlipidemia call or schedule an appointment online with Dr. Meshkov and his team at Abington Cardiology. The practice is currently welcoming new patients and accepts most forms of insurance.